But far be it from me to boast except in the cross of our Lord Jesus Christ, by which the world has been crucified to me, and I to the world (Gal. 6:14). Nobody likes to hear a person brag, but we often forget that when we feel the urge to boast. One popular form of bragging is the Facebook brag. If you want to feel bad about your life, go on Facebook and see how perfect everyone else’s life is. (Everybody’s kids seem to be geniuses!) Someone has said that Facebook isn’t a depiction of our personal lives—it’s a highlights package. Because of our sin, we need salvation. The New Testament gives us four images of salvation: 1) propitiation (the need to have God’s wrath appeased), (2) redemption (the need to be rescued from sin’s captivity), (3) justification (the need to be declared righteous), and (4) reconciliation (the need to be brought back to God). In his love, God achieved salvation for us by the blood of Christ. “Whom God put forward as a propitiation by his blood, to be received by faith” (Rom. 3:25). “In [Christ] we have redemption through his blood” (Eph. 1:7). “We have now been justified by his blood” (Rom. 5:9). “But now in Christ Jesus you who once were far off have been brought near [i.e., reconciled] by the blood of Christ” (Eph. 2:13). The gospel is the good news that the cross has made salvation possible. Like Al Gore shouldn’t get credit for inventing the internet, Christians shouldn’t get credit for being saved. We contributed nothing to our salvation. “By grace you have been saved through faith. And this is not your own doing; it is the gift of God, not a result of works, so that no one may boast” (Eph. 2:8-9; cf. Rom. 3:27; 1 Cor. 1:29-31). “If righteousness were through the law, then Christ died for nothing” (Gal. 2:21). The cross shows us that we cannot boast in ourselves, but only in God's grace. Prior to his conversion, Paul had boasted in his religious accomplishments. “You have heard of my former life in Judaism, how I persecuted the church of God violently and tried to destroy it. And I was advancing in Judaism beyond many of my own age among my people, so extremely zealous was I for the traditions of my fathers” (Gal. 1:13-14; cf. Phil. 3:5-6). But after he was saved, Paul said, “By the grace of God I am what I am” (1 Cor. 15:10). Our lives need to be gospel-centered. We cannot effectively live the Christian life unless we constantly preach to ourselves the gospel. The gospel is the best good news. Boasting in the gospel powers our obedience with desire. The gospel is not just supposed to be our ticket into heaven; it is to be an entirely new basis for how we relate to God, ourselves, and others. It is to be the source from which everything else flows (p. 9). Obedience that does not flow from love ends up being drudgery— both to us, and to God. The gospel turns that drudgery into delight. It changes us from being slaves who have to obey God to sons and daughters who want to obey God. Again, God is not just after obedience; He’s after a whole new kind of obedience— an obedience that is filled with desire (p. 23). Preach the gospel to yourself. You must tell yourself that because of Jesus you have the absolute approval of the only One whose opinion really matters (p. 54). 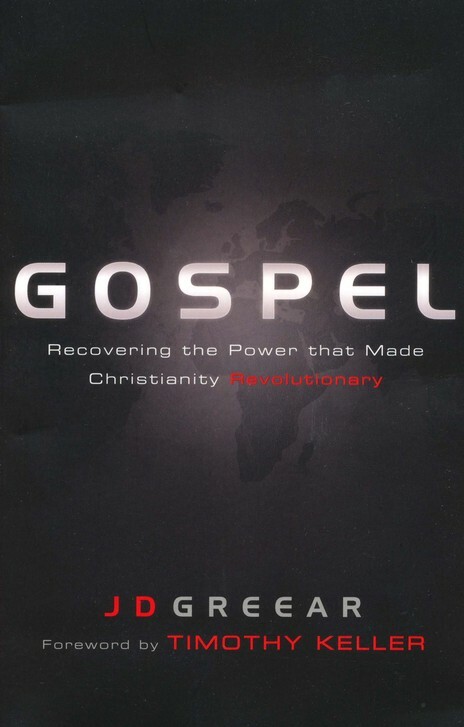 Gospel change is the Spirit of God using the story of God to make the beauty of God come alive in our hearts (p. 65). 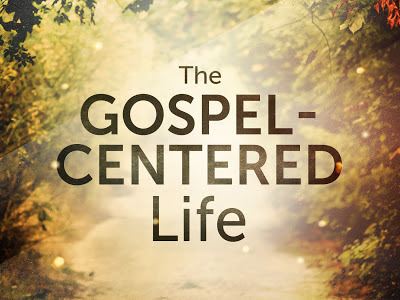 Believing the gospel is not only the way we become Christians, it is the power that enables us to do, every moment of every day, the very things Jesus commands us to do (p.103). That’s what being “gospel-centered” is really all about— not moving past the gospel, but continually going deeper into it. It’s about realizing that the gospel is the final answer to every issue and problem in life and about seeing the whole world through the lens of the cross (p. 191). “Preach the gospel. If necessary, use words”? How do you explain the gospel without using words? That’s like saying, “Tell me your phone number. If necessary, use digits.” Your phone number is digits. The gospel is the words announcing what Christ has done. People can’t look at our lives and know the story of Christ. They may see glimpses of the kindness of Christ, but expecting them to get the gospel just by watching us would be like trying to gather information from a newscast with the sound turned off (p. 223). The woman said to him, “Sir, I perceive that you are a prophet. Our fathers worshiped on this mountain, but you say that Jerusalem is the place where people ought to worship.” Jesus said to her, “Woman believe me, the hour is coming when neither on this mountain nor in Jerusalem will you worship the Father. You worship what you do not know; we worship what we know, for salvation is from the Jews. But the hour is coming, and is now here, when the true worshipers will worship the Father in spirit and truth, for the Father is seeking such people to worship him. God is spirit, and those who worship him must worship in spirit and truth (John 4:19-24). The Samaritan woman was concerned about a secondary issue. She asked Jesus about the correct location for worship (vv. 19-20). (The Samaritans believed that the proper place for worship was Mount Gerizim, but the Jews said it was Jerusalem.) But Jesus told her not to be concerned about the where of worship (v. 21). Instead, the whom and the how of worship are what really matter. We must “worship the Father” (v. 23). Jesus makes two statements about the Father in verses 23 and 24. First, the Father is “seeking” people to worship him (v. 23). Second, “God is spirit” (v. 24). Since God is spirit, we can worship him anywhere at any time. “We were not created to worship, but rather we are created worshiping. Everyone worships all the time. Atheists, agnostics, Christians, and everyone in between are unceasing worshipers. Everyone, everywhere, all the time, is always worshiping. While the object and method of worship vary, the act of worship does not" (Mark Driscoll, Gerry Breshears, Doctrine, p. 339). True worship values God over idols. “The primary way to define sin is not just the doing of bad things, but the making of good things into ultimate things. It is seeking to establish a sense of making something else more central to your significance, purpose, and happiness than your relationship to God” (Timothy Keller, The Reason for God, p. 162). God is “jealous” when we worship idols (Ex. 20:5). Why? Because (1) he deserves our worship, and (2) he knows idols will end up disappointing us. “God the Creator is worthy of all honor from his creation. Indeed, his creatures (mankind esp.) are functioning properly only when they give God the honor and worship that he deserves. God’s jealousy is therefore also his zeal for his creatures’ well-being” (ESV Study Bible, p. 176). Idols are like the water in the Samaritan well. Jesus said, “Everyone who drinks of this water will be thirsty again, but whoever drinks of the water that I will give him will never be thirsty again” (v. 13). Only when we give our lives to God do we find what truly satisfies. We must worship “in spirit and truth” (vv. 23, 24). In other words, worship must engage both the mind and the heart. “Truth without emotion produces dead orthodoxy and a church full (or half-full) of artificial admirers (like people who write generic anniversary cards for a living). On the other hand, emotion without truth produces empty frenzy and cultivates shallow people who refuse the discipline of rigorous thought. But true worship comes from people who are deeply emotional and who love deep and sound doctrine. Strong affections for God rooted in truth are the bone and marrow of biblical worship” (John Piper, Desiring God, pp. 81-82). True worship is both intellectual and emotional. Jesus said to the Pharisees and scribes, “You hypocrites! Well did Isaiah prophesy of you, when he said: ‘This people honors me with their lips, but their heart is far from me; in vain do they worship me, teaching as doctrines the commandments of men’” (Matt. 15:7-9). They did not worship God in spirit (“their heart is far from me”) or in truth (“the commandments of men”). Their worship was worthless. When we worship God (the whom of worship) in spirit and truth (the how of worship), we avoid two sins of false worship: idolatry and hypocrisy. “God shows his love for us in that while we were still sinners, Christ died for us” (Rom. 5:8). Is there any greater truth than the gospel? Is there anything that lifts our spirits more than the gospel? Worship is not supposed to be something we give to God for one hour of the week on Sunday morning. Worship is to be a lifestyle. “I appeal to you therefore, brothers, by the mercies of God, to present your bodies as a living sacrifice, holy and acceptable to God, which is your spiritual worship” (Rom. 12:1). The more your mind is filled with the gospel and the more your heart is moved by the gospel, the more your life will overflow with worship of God. And calling the crowd to him with his disciples, he said to them, “If anyone would come after me, let him deny himself and take up his cross and follow me. For whoever would save his life will lose it, but whoever loses his life for my sake and the gospel’s will save it. For what does it profit a man to gain the whole world and forfeit his soul? For what can a man give in return for his soul? For whoever is ashamed of me and of my words in this adulterous and sinful generation, of him will the Son of Man also be ashamed when he comes in the glory of his Father with the holy angels” (Mark 8:31-38). John Paton (1824-1907) is relatively unknown by Christians today. He served for ten years as the pastor of a growing Scottish church, but God began to burden his heart for the New Hebrides, a group of Pacific Islands filled with cannibalistic peoples who had no knowledge of the gospel. He set his heart on one island in particular. Twenty years earlier two missionaries had gone to that island. They were killed and cannibalized. So it was no surprise that many tried to dissuade Paton from even the thought of following these missionaries’ footsteps. Paton wrote, “Amongst many who sought to deter me, was one dear old Christian gentleman, whose crowning argument was, ‘The Cannibals! At the age of thirty-three, Paton traveled to the New Hebrides with his wife. The journey was not easy. His wife and newborn child died within months of arriving, and he found himself alone, digging their graves with his bare hands. He faced threat after threat upon his life. But in the years to come, countless cannibals across the New Hebrides came to trust in the gospel of Jesus Christ, and the church across Australia, Scotland, and the Western world was challenged to rise up and make the gospel known among the peoples who are toughest to reach. (This story is found in David Platt's Radical, pp. 175-76). Does this kind of devotion seem too radical? Too extreme. Too crazy? We need to stop and think about the crazy love Jesus has for us. Jesus “the Christ” (cf. Mark 8:29) came to earth to die (v. 31). To Peter, this was crazy talk (v. 32). He didn’t understand that Jesus came “to give his life as a ransom for many” (Mark 10:45). If Jesus was willing to give up his life for your salvation, what should you be willing to give up for him? The gospel moves us to totally devote our lives to Jesus. We are saved by grace through faith, apart from works (Eph. 2:8-9). But we can’t experience God’s grace without having our hearts changed. Simply put, to be a “disciple” of Jesus is to be a “follower” of Jesus (i.e., a “Christian”). Jesus didn’t try to lure people into discipleship with false promises. He never claimed that following him would be easy (cf. Mark 10:17-21; Luke 9:57-62; 14:26-33; John 6:66-67). Jesus said, “If anyone would come after me, let him deny himself and take up his cross and follow me” (v. 34). Jesus gives us three demands of discipleship: (1) deny yourself; (2) take up your cross; and (3) follow Jesus. Don’t expect the benefits of discipleship without the demands of discipleship. Dietrich Bonhoeffer wrote, “When Christ calls a man, he bids him come and die” (The Cost of Discipleship, p. 99). “We are settling for a Christianity that revolves around catering to ourselves when the central message of Christianity is actually about abandoning ourselves” (Platt, Radical, p. 7). The person who does not follow Jesus will “lose his life” (v. 35), “forfeit his soul” (v. 36), and cause Jesus to be “ashamed” (v. 38). The person who is now unwilling to give up anything for Jesus will one day be willing to give up “the whole world” (v. 36). But then it will be too late. The cost of discipleship is great, but the cost of non-discipleship is even greater. “[Jesus] is something—someone—worth losing everything for. And if we walk away from the Jesus of the gospel, we walk away from eternal riches. The cost of nondiscipleship is profoundly greater for us that the cost of discipleship. For when we abandon the trinkets of this world and respond to the radical invitation of Jesus, we discover the infinite treasure of knowing and experiencing him” (Platt, Radical, p. 18). “The kingdom of heaven is like a treasure hidden in a field, which a man found and covered up. Then in his joy he goes and sells all that he has and buys that field” (Matt. 13:44). “Jesus is the treasure worth leaving everything for. Knowing Him will turn sacrifice into sweetness and duty into delight. Even when your commitment to Him leads you to a cross, He will be a treasure that shrouds that cross in joy" (J. D. Greear, Gospel, p. 243). Therefore, if anyone is in Christ, he is a new creation. The old has passed away; behold, the new has come. All this is from God, who through Christ reconciled us to himself and gave us the ministry of reconciliation; that is, in Christ God was reconciling the world to himself, not counting their trespasses against them, and entrusting to us the message of reconciliation. Therefore, we are ambassadors for Christ, God making his appeal through us. We implore you on behalf of Christ, be reconciled to God. For our sake he made him to be sin who knew no sin, so that in him we might become the righteousness of God (2 Cor. 5:17-21). It’s normal for us to share good news. Yet most Christians find it difficult to share the gospel, the good news of Jesus Christ. Why are we reluctant to share the gospel? We are often afraid of rejection, ridicule, anger, and embarrassment. Why are we complacent about sharing the gospel? Perhaps we don’t think enough about the destiny of those who die without faith in Christ. Paul writes, “The love of Christ controls us” (2 Cor. 5:14). The NIV says, “Christ’s love compels us.” We should not be motivated by guilt, but by grateful joy. The gospel rebukes our reluctance and complacency and compels us to share the good news. God has entrusted to us “the message of reconciliation” (v. 19). Three questions need to be answered regarding reconciliation. First, what is reconciliation? Second, why is reconciliation necessary? Third, how is reconciliation possible? 1. Reconciliation is what God has done to bring us back together with himself. “Reconciliation is God’s initiative and God’s work, while the direction of reconciliation is also Godward. God is not reconciled with us, as if we were the point of reference and God were the transgressor (! ); we are reconciled with God” (Scott Hafemann, 2 Corinthians, p. 245). 2. Reconciliation is necessary because of our sin. 3. Reconciliation is possible because of the cross. Christ was “made to be sin” even though he “knew no sin” (i.e., was completely sinless). On the cross, he bore the wrath of God for our sin so that in Christ “we might become the righteousness of God.” “All this is from God” (v. 18). The gospel is about what God has done for us, not what we have to do for God. God has given us “the ministry of reconciliation” (v. 18). We are “ambassadors for Christ, God making his appeal through us” (v. 20). Paul writes, “We implore you on behalf of Christ, be reconciled to God” (v. 20). We should not ask if we should be sharing the gospel but how we should be sharing the gospel. Probably the best way to share the gospel is to do it in the context of a relationship. We all have a circle of influence (family members, friends, neighbors, co-workers, etc.). Who in your circle of influence needs to be reconciled to God? We believe that God is sovereign. Do you think it’s an accident that there are unsaved people in your circle of influence? Perhaps God has placed these people in your life so that you might share the gospel with them. Many times we hope someone else will speak to an unsaved loved one about Christ. But what about you? God has given you the ministry of reconciliation. Don’t be discouraged if you share the gospel with someone and they don’t believe. Conversion usually happens as a process over time. “The focus of evangelism should be encouraging people in a Christ-ward direction rather than looking for that crossing-the-line experience” (John P. Bowen, Evangelism for "Normal" People, p. 83).